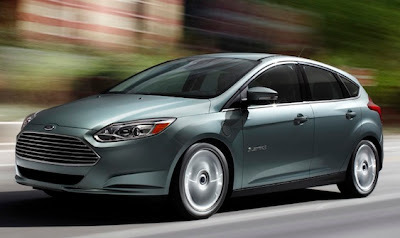 Ford Motor Company today began a new chapter in its vehicle manufacturing history with the start of production of the all-new Focus Electric – the first full-electric vehicle to be built by Ford in Europe – in Saarlouis, Germany. The zero-emission Focus Electric is spearheading Ford’s line-up of electrified and highly fuel-efficient vehicles, and will be joined in Europe by the C MAX Energi plug-in hybrid electric vehicle (PHEV) next year, followed by the all-new Mondeo Hybrid soon after. Developed as a “One Ford” global vehicle, the Focus Electric features an advanced electric motor and lithium-ion battery powertrain that produces 143 PS and achieves a top speed of 136 km/h. Focus Electric has been manufactured in North America since December 2011 and the Saarlouis-built Focus Electric will reach European customers from August this year. The launch of European production of Focus Electric was attended by Bernhard Mattes, chairman Ford-Werke GmbH; Martin Chapman, Saarlouis plant manager, Ford of Germany; Germany’s Federal Minister for the Environment, Peter Altmaier, and Prime Minister of the Saarland, Annegret Kramp Karrenbauer. Ford has invested €16 million to integrate Focus Electric production directly into the established Focus production line at Saarlouis, delivering the flexibility to react to market demand with increased production volumes.